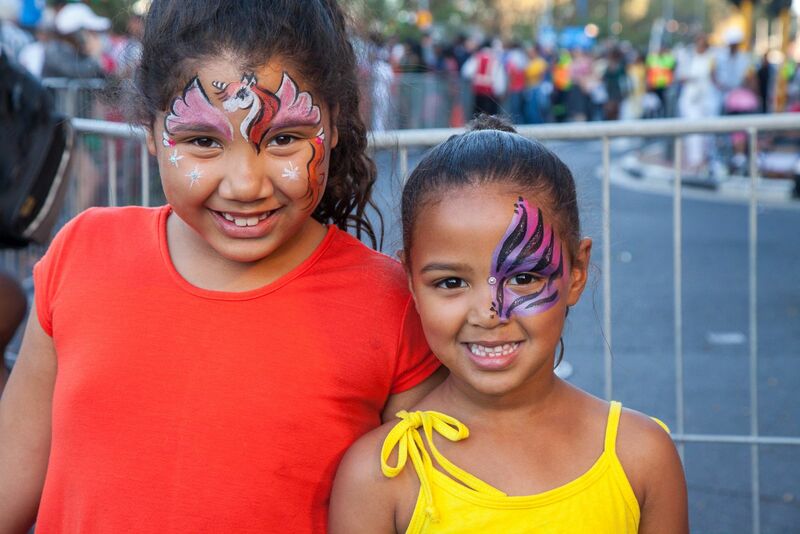 Another year rolls around, and it’s time for another spectacular day at the colourful Cape Town Carnival! 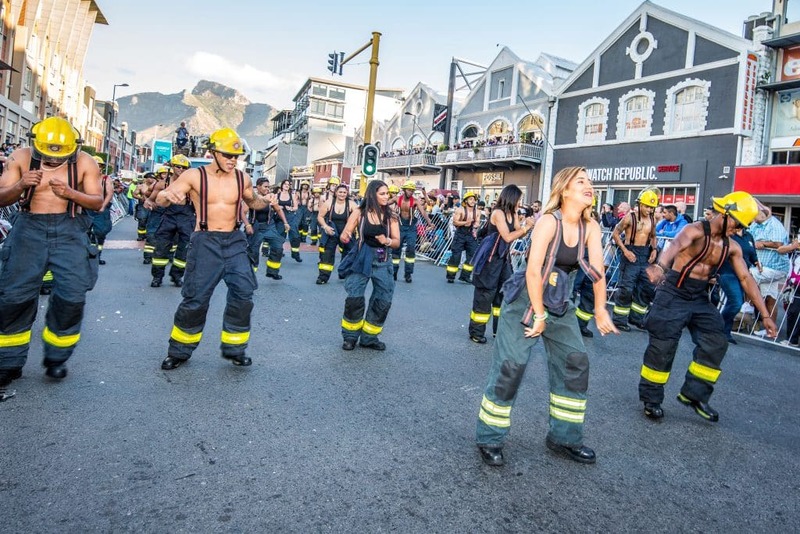 Revellers gather from far and wide to join in the vibrant display of artistic expression and Capetonian pride as they parade down Somerset Road, in De Waterkant. On the 16th of March take to the streets with the people of Cape Town and City Sightseeing for the family-friendly festivities boasting lights, music, dancing, and plenty of food and drink. 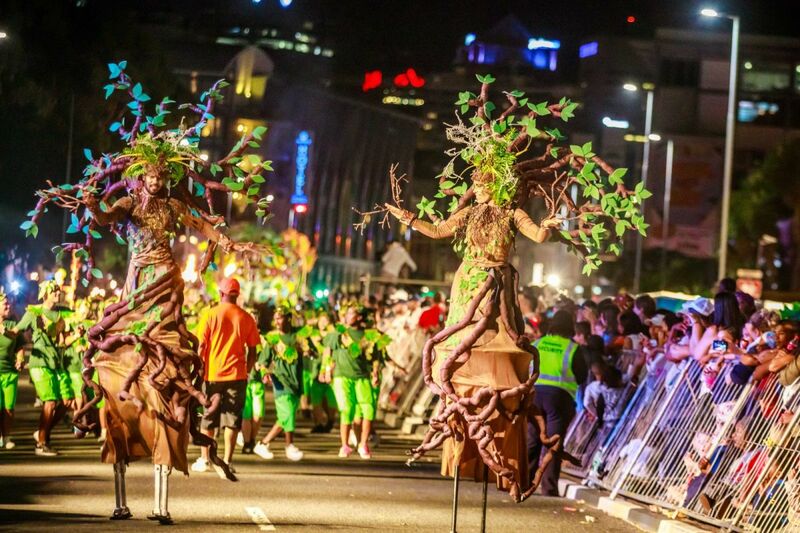 Entrance to the Carnival is free, but you can book special tickets online; The Cape Town Carnival and City Sightseeing have partnered up again this year to provide 3 double-decker buses for seating. For R350, save yourself a seat on the bus for a comfortable, unrestricted view of the parade below. The festivities only start in the afternoon, so kick your carnival day off by booking one of our open top bus tour tickets. Hop on the bus at any of our Main Stops along the routes and embark on a grand tour of Cape Town before the festivities begin. Sit back and take in the sights and sounds of Cape Town from the iconic Red Bus and hop off at any of your favorite attractions such as the Table Mountain Cableway or Kirstenbosch Botanical Gardens, Clifton Beach or the Constantia Wine Estates. From there you can get off at STOP 1 at the V&A Waterfront, where there are plenty of other exciting activities to enjoy, especially for kids if you’re travelling as a family. Our top V&A Waterfront attractions include the the Two Oceans Aquarium, the Cape Wheel, Battery Park, and the Zeitz MOCAA Museum. Then it’s time to get to the Carnival! No need to walk all the way and the traffic is sure to be congested. 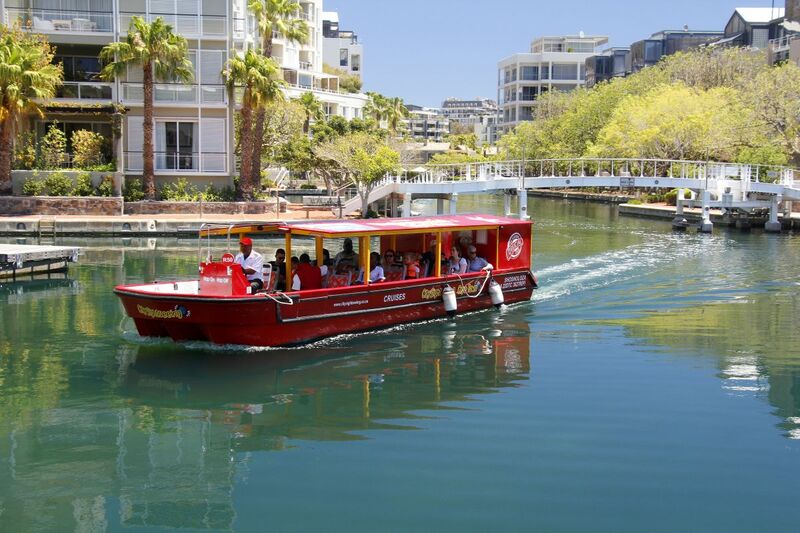 Skip the hassle by hopping on our City Sightseeing Canal Cruise, which departs from the harbour and winds its way down the canals to the CTICC. From there it’s a short walk to the Fan Walk where the Carnival is taking place! Before the concerts and parades properly get underway there’s still plenty of music and festivities on the street, with dancers and party goers dressed in colourful costumes and face paint, so if you want to join in be sure to bring masks or have your face painted at one of the vendors. There’ll be plenty of food and drink stalls along the way, as well as toilets and designated Lost and Found ladies if you get separated from your group. Just look out for the Pink Ladies. You can find a map of the carnival and Fan Walk here. After the Open Streets, it’s on the Parade! The open streets last from 3PM to 6:45PM, and then at 7PM the parade officially starts! Take to the stands, buses or pavement to watch the vibrant dancers and floats go by, joined by light shows and performers. 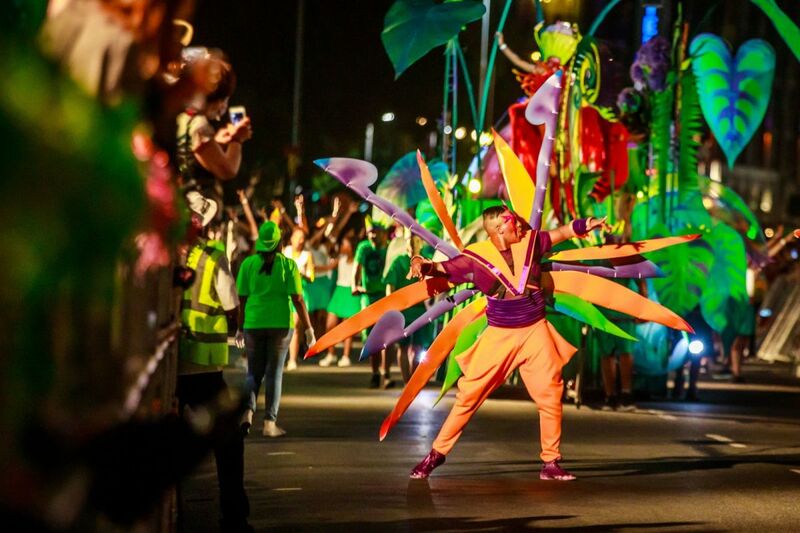 These intricate, colourful costumes and floats took all year to make, and it really shows! In between all of this, bands and DJs will be performing, from 3PM till 7PM, then from 10PM to 12PM.